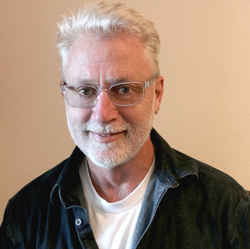 Santa Barbara, CA—The Atkinson Gallery at Santa Barbara City College is pleased to present Ed Inks Has Left the Building, an exhibition featuring sculptures by Ed Inks in honor of his upcoming retirement. In this body of work, Inks’ commanding knowledge of both technique and art history are united in the objects themselves. Of his whimsical abstractions which fuse Minimalist forms with Neo-Dadaist irreverence, Inks says, "Recent works borrow heavily from figurative references from the pre‐historic period such as the Venus of Willendorf, but also the figurative sculpture of mid‐20th century abstractionists; Henry Moore, Constantin Brancusi, etc. I am interested a symbolic sensuousness, yet the genuine awkwardness of the human body. Recent works depict embellished male and female forms, or other phallic images found in pre‐historic cultures—a modernization of humankind’s oldest fertility icons." 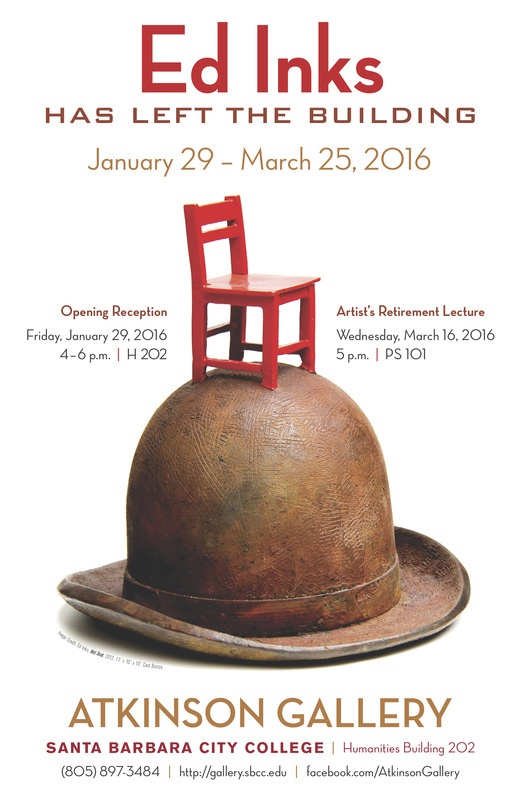 The show opens with a reception for artist on Friday, January 29 from 4pm-6pm and continues through March 25, 2016. Gallery director Sarah Cunningham will host a live interview with the artist on Wednesday, March 16 at 5pm in the Physical Science Building Room 101. Exhibit and related events are free and open to the public.